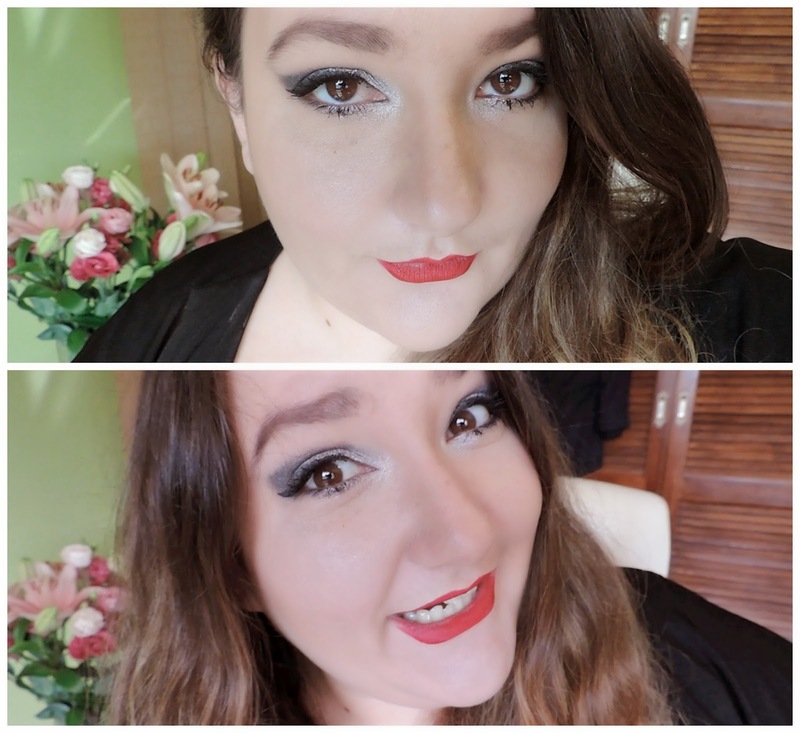 I haven't done an OOTD for a while and I really liked how I had my makeup for the weekend, so I decided I'd do a little post about what I had on my face and my outfit! The reason for all the dressing up is that I had two events to go to, and I couldn't just go to one and not the other because I had one of my best girl friends engagement parties to go to (Congratulations Catherine and Sam) and I also had the 21st birthday party of another equally as wonderful friend (Happy Birthday again Zoe) and I was determine to go to both - this however meant I needed one outfit to suit both occasions. Challenge accepted. The 21st had a theme to dress to - luckily it wasn't favourite super hero - the theme was black and white. This I could work with - as black and white is quite 'in' in fashion at the moment. I found this dress online for $50.00 (On sale down from $150.00) so I snatched that up as soon as I could. It fit both occasions - being black and white, but also 'pretty' enough to be at a slightly formalish garden party engagement setting. The purse was a gift from a friend of mine for my 21st birthday (from another friend named Zoe) Its from Forever New and I love it. I use it all the time. The shoes I've had for a few years but with something in this style, simple black pumps, they're so chic that they don't go out of style and they go with everything (I was going to wear cherry red heels but thought it might look a bit 'flashy'). I decided to go with a black/white/silver smokey eye and some statement red lips. I felt that this look could be acceptable at both occasions. I used a mixture of different pallets to get this look - and to be honest - it isn't really anything special, its really quite a basic look and can be re-created at home by anyone with any black/white/silver eyeshadows. On my lips, I'm wearing the 'Savvy' Matte Lip Cream in the shade Miss Monroe this is one of my favourite 'liquid lipsticks' and one of my all time favourite red lipsticks. For my hair, I didn't really have time to do anything special with it, so I just washed it and let it air dry. My hair is naturally wavy/curly and because it is ombré at the moment, it looks quite nice when I do nothing with it at all. Which for me is so nice because some days I just can't stand doing anything to my hair because there is so much of it and it is way too time consuming and most of the time I don't have the patience to keep up with it or it doesn't turn out how I want, so for my hair to look this nice when I've barely even brushed it was a massive WIN!